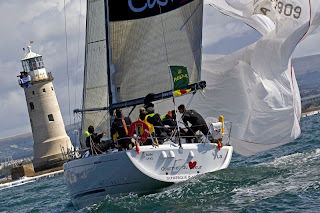 A sound guide to the success of any yacht race is when the entry limit is exceeded. 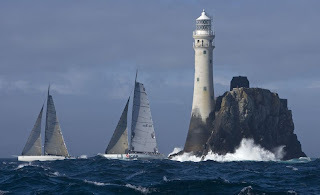 Once again the Royal Ocean Racing Club has managed this with their biennial flagship event, the Rolex Fastnet Race, where the 300 boat maximum has been comfortably reached. The make-up of this year’s Rolex Fastnet Race fleet is one of the most international ever with entries from 16 countries. While the UK and France comprise the majority, this year the line-up includes boats from as far afield as Australia, with the much-travelled Rolex Sydney Hobart entrant Berrimilla 2, sailed by Alex Whitworth and Peter Crozier, to the Chilean Class 40, Desafio Cabo de Hornos, recently second round the world in the Portimao Global Ocean Race, to Karl Kwok’s Beau Geste from Hong Kong. A number of boats are also making the journey all the way to the start in Cowes from the US, such as Roger Sturgeon’s Rolex Sydney Hobart-winning STP65 Rosebud/Team DYT, or up from the Mediterranean, such as the Italian America’s Cup team Luna Rossa with their STP65 led by four-time Olympic medallist, Robert Scheidt. The line-up this year is as spectacular, as it is diverse, with a huge spread of boats, from the 100 footers Mike Slade’s line honours hunting ICAP Leopard, and the more comfortable Performance Yachts 100, Liara of Tony Todd – down to the smallest class 3 yachts, the shortest being the Polish 30-footer, Four Winds, belonging to Wieslaw Krupski.